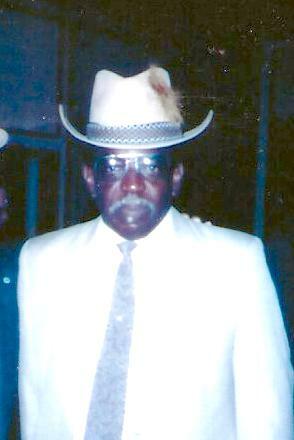 Ernest S. Haynes, Sr., better known as "Ernie" departed for home on Monday, October 29, 2018. He was born to Herbert Haynes, Sr., and Elizabeth Haynes on June 13, 1939 in Donaldsonville, Louisiana. Ernie attended and graduated from Lowery High School (now known as Donaldsonville High) in Donaldsonville, LA. Ernie enlisted in the United States Army in 1962 serving two years and relocated to South Bend, IN. He immediately joined Greater Friendship Missionary Baptist Church under the leadership of the late Rev. Dave Davis in July,1965 where he served as deacon until illness in 2014. His great-niece, Ebony Stewart and her daughter Jaidyn, took care of their great uncle until his heavenly departure. Ernie joined the US Post Office in the 60s and worked in several positions until he retired. Ernie leaves to cherish his memories Eliza Haynes, sister; Ollie Brown, long-time companion; four children: Vincent, Stephanie, Ernest Jr., (Tesa) and Kendall. Three special daughters, Shannon Brown-Murphy, Lauren Archie and Teressa Williams, five grandchildren and a host of nieces, nephews and friends. His parents, one brother Herbert Haynes, Jr., one sister Audrey Haynes preceded him in death. Services will be held at 1:00 p.m., on Monday, November 5, 2018 at Greater Friendship Missionary Baptist Church, Visitation 12 p.m.